The Bible tells us that IF we would humble ourselves, we WOULD be lifted up at just the right time by God. 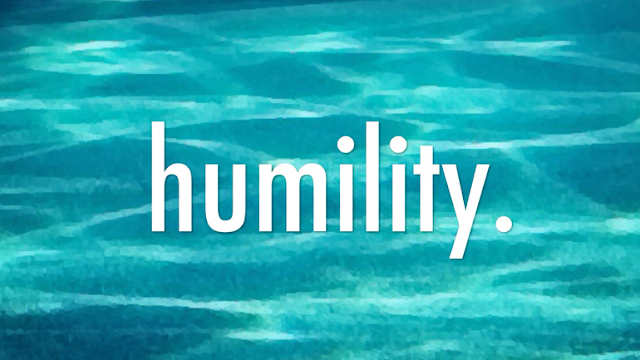 Humility is a trait of a blessed life. Thinking of others before yourself...looking out for your neighbor...helping a co-worker finish a project on time...all ways to start learning the art of humility. So often we want to "blow our own horn" to make sure everyone else knows that we did something worthy of credit. I remember a story about a turtle and some geese. A turtle wanted to spend the winter in FL but he knew he could never walk there. He convinced a couple of geese to help him, each one of them taking the end of a piece of rope while the turtle clamped his vice like jaws on the center. The flight went fine until someone on the ground looked up in admiration of the genius in this plan to fly a turtle through the air and asked, “who in the world thought of that?’ Unable to resist the chance to take credit the turtle opened his mouth and said, “I diiiiiiiiiiiiiiiiiiid!" Pride comes before a fall: for the turtle and for you! Humble yourselves in the sight of the Lord and He will lift you up right when you need it!